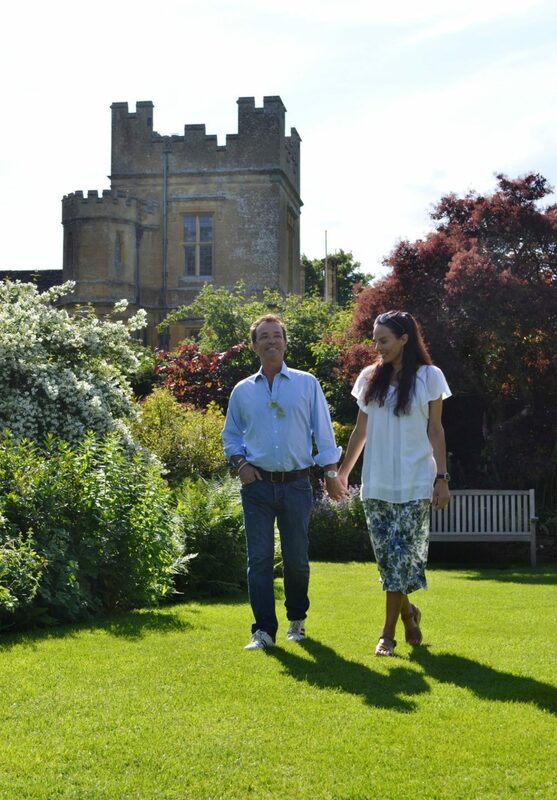 One of the most romantic gardens in the Cotswolds is celebrating a milestone this summer. 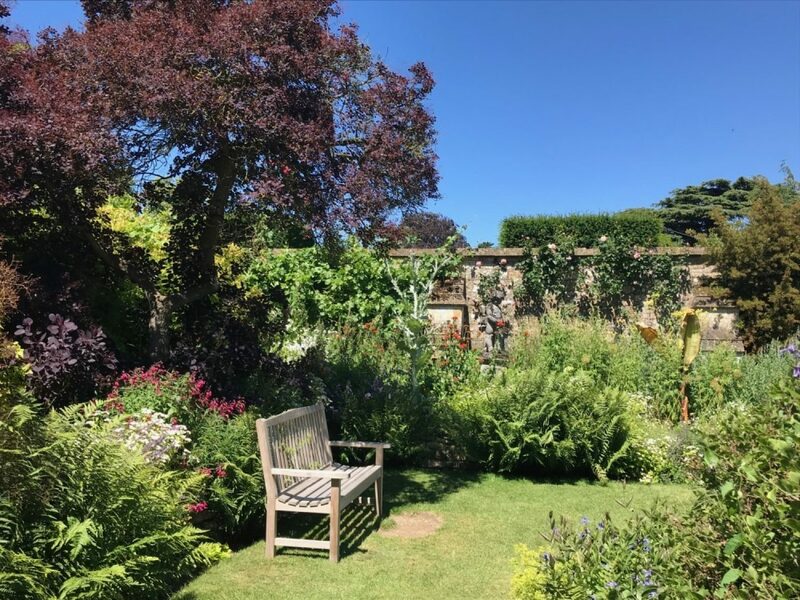 Our beautiful Secret Garden was re-designed 20 years ago to celebrate the marriage of Henry Dent-Brocklehurst – son of the current chatelaine of the castle, Elizabeth, Lady Ashcombe – to Lili Maltese in 1998. Now, two decades on, many of the planting features are still enjoyed by visitors to Sudeley Castle and its award-winning gardens. The Secret Garden is so-called for its intimate and sheltered nature – being hidden on one side by a large yew hedge and on another by a stone wall, complete with buttresses. It can be found through an archway of roses alongside St Mary’s Church – the final resting place of of Queen Katherine Parr, the last of Henry VIII’s six wives. It is overlooked by a huge, 200-year-old cedar of Lebanon tree, and is adjacent to the castle’s pheasantry – home to one of the largest collections of rare-breed pheasants in the world. Little is known about the Secret Garden’s history prior to the 20th century. It was first re-planted following the marriage of Lord and Lady Ashcombe in 1979. Lady Ashcombe wished to create a ‘secret garden’ as a celebration of their marriage and to house four 18th century cherub-like garden ornaments from Lord Ashcombe’s own garden – which can still be seen today. Then, when Henry Dent-Brocklehurst married Lili Maltese in 1998, it was decided to re-plant the garden, introducing more vibrant, exotic colours to give it a more modern feel. The couple and their three sons still enjoy the garden when they return here each summer. The garden is bordered by raised beds which evolve throughout the year – in spring it is a sea of more than 2,500 tulips and in summer the beds spill over with flowers, shrubs, ferns, and climbers of varying height and colour. Among its secrets are two mature purple smoke bushes, one at each end of the garden, and a large, old Judas tree, Cercis siliquastrum, which has been trained against the wall and offers delicate pink flowers which grow directly off the bark. The garden also offers a variety of daisies, roses, blue salvias, penstemons, Russian sage and clematis. Scent plays a large role in the garden – visitors can enjoy the sweetly-scented ‘fragrant daphne’ and the highly-fragranced white flowers of the philadelphus shrub, which is said to smell similar to orange blossom and has led to it being called ‘mock orange’, although the plants are unrelated. The Secret Garden flowers right up until October, if weather permits, after which time our team of gardeners will be hard at work preparing it for next year. The Secret Garden is one of our 10 beautifully maintained gardens, which come into their own during the summer months. 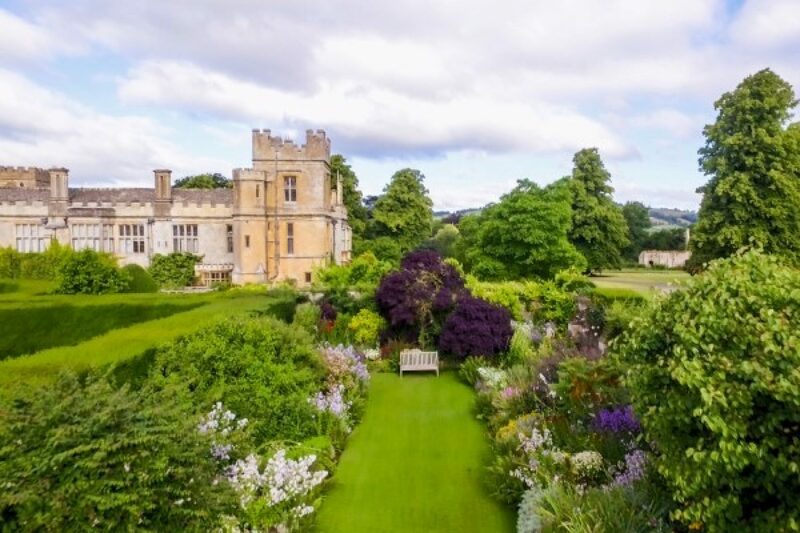 Set against the stunning backdrop of the majestic castle, and surrounded by striking views of the Cotswold Hills, the gardens are an ever-evolving showcase of the best of what each season has to offer. From the tranquillity of the Knot Garden or the magnificence and grandeur of the Queens’ Garden, there is a vast array of flowers, shrubs, trees and herbs to delight the senses. Throughout the summer they are awash with colour, the highlight being more than 80 varieties of rose in full bloom. 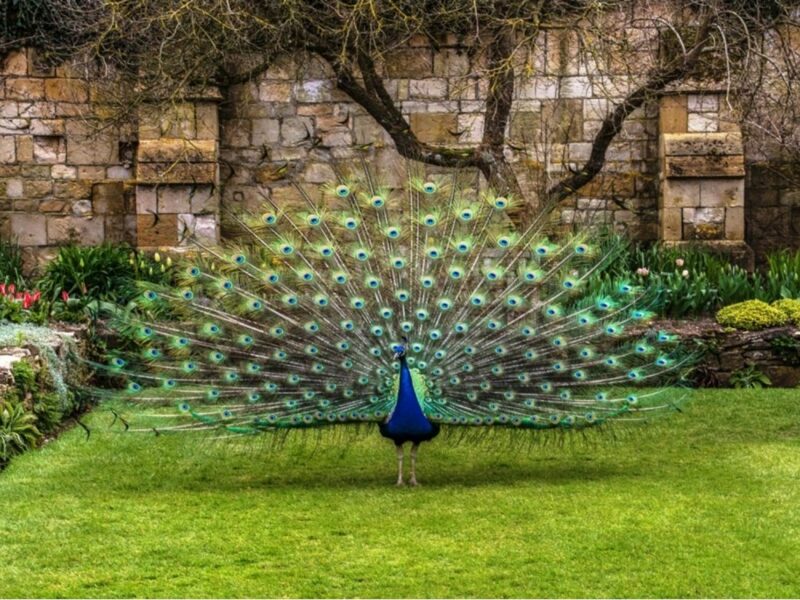 Plan your visit to Sudeley Castle and Gardens and save 10% when you book your ticket online.